eaTreat is a Just Eat Clone script which helps you to feed your dream of success. We have provided 4 web apps which helps you with your success. We provide you with a complete package with 100% source code ownership, free white labeling, and free technical support. We help you to launch your business and follow up with your success. eaTreat - Just Eat Clone from Trioangle was added by trioangle123 in Feb 2019 and the latest update was made in Feb 2019. The list of alternatives was updated Mar 2019 There is a history of all activites on eaTreat - Just Eat Clone from Trioangle in our Activity Log. It's possible to update the information on eaTreat - Just Eat Clone from Trioangle or report it as discontinued, duplicated or spam. Food delivery software open source system with web platform, mobile apps, kitchen app, and driver solution. Supports single restaurant or multi restaurant online orders. Get your own resturant menu ordering application developed from FoodPurby. You get your own app in your own brand name. You can find many more feature in it. Alternatives to eaTreat - Just Eat Clone from Trioangle for iPhone, Android, Web, Windows, Android Tablet and more. Filter by license to discover only free or Open Source alternatives. This list contains a total of 4 apps similar to eaTreat - Just Eat Clone from Trioangle. 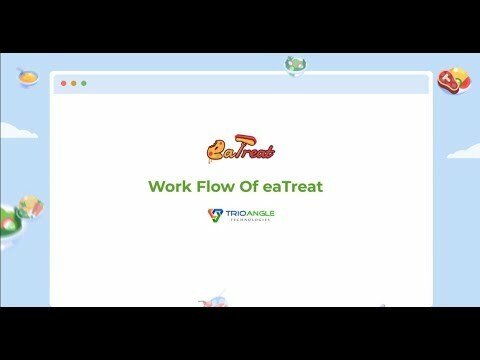 No reviews yet for eaTreat - Just Eat Clone from Trioangle, want to be first? Maybe you want to be the first to submit a comment about eaTreat - Just Eat Clone from Trioangle? Just click the button up to your right!